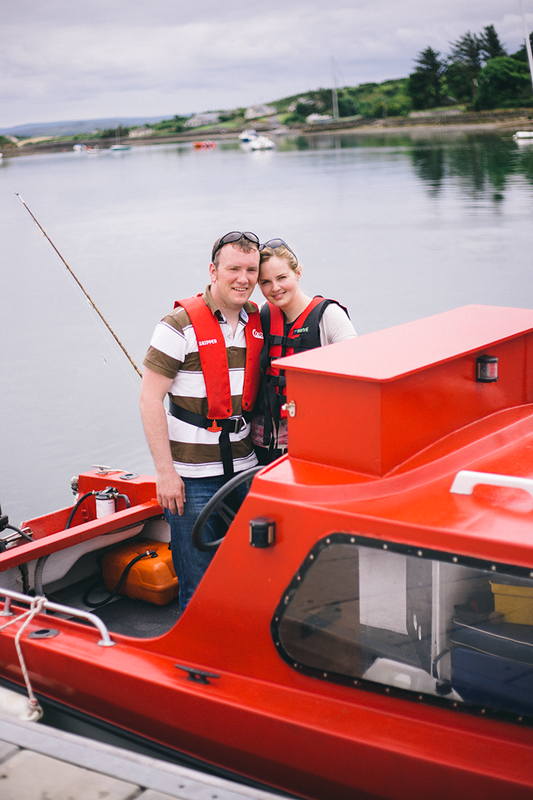 Last weekend I met up with the lovely Sean and Christina for their engagement shoot on a boat in Westport. The lovely couple are getting married in November in the nearby Broadhaven Bay Hotel. I can’t wait to celebrate with them! 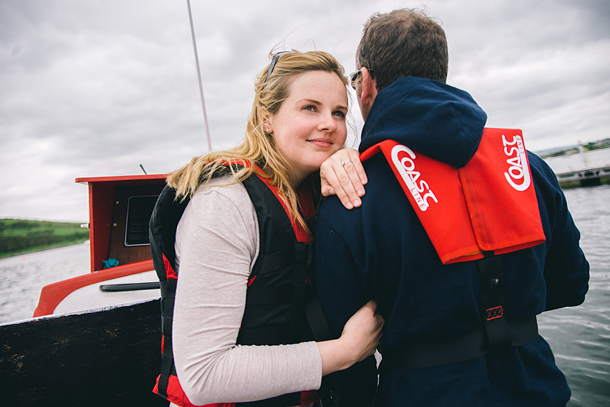 Sean is a coast guard and s you might be able to guess, he proposed to Christina on a beach. I hadn’t been out on a boat in years and I forgot how nice it feels to have endless water beneath and around you. At some points the water was as deep as 25 meters! 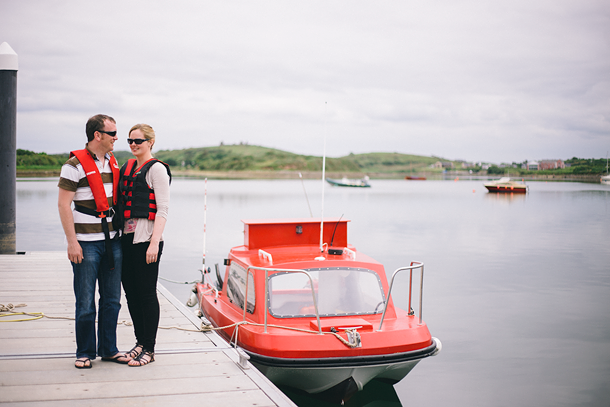 We had so much fun taking photos, chatting, drinking tea, fishing for mackerel while coasting through the unspoilt landscape beneath Croagh Patrick. Honestly, the nature out there is so pure and beautiful. It was definitely a day I will remember for a long time. Kenny also did a gorgeous behind the scenes video, scroll to the end to see it!